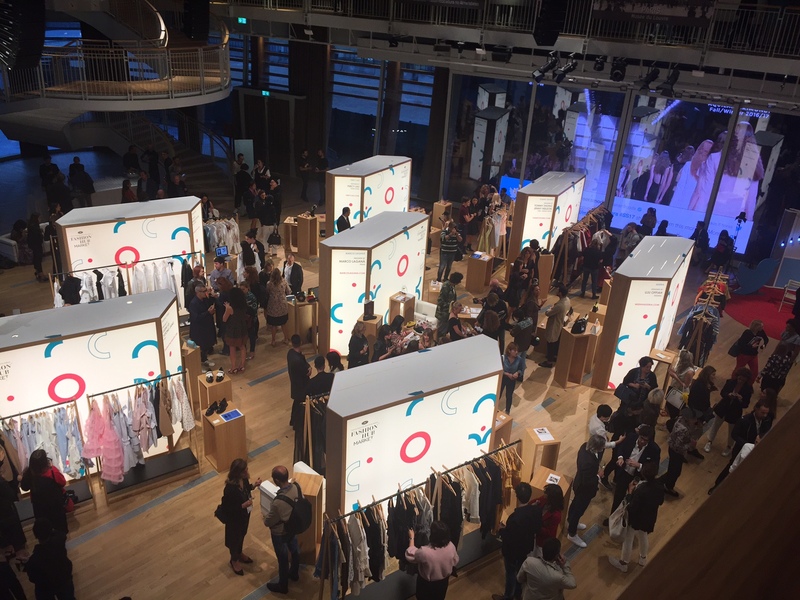 Camera Nazionale della Moda Italiana (CNMI) presents the third Fashion Hub Market edition, a new project in support of emerging brands. CNMI selected fourteen Italian and foreign brands that will be showing their prêt-à-porter and accessories collections at Milano Moda Donna for the very first time. A new platform offering high levels of visibility, networking and business opportunity. 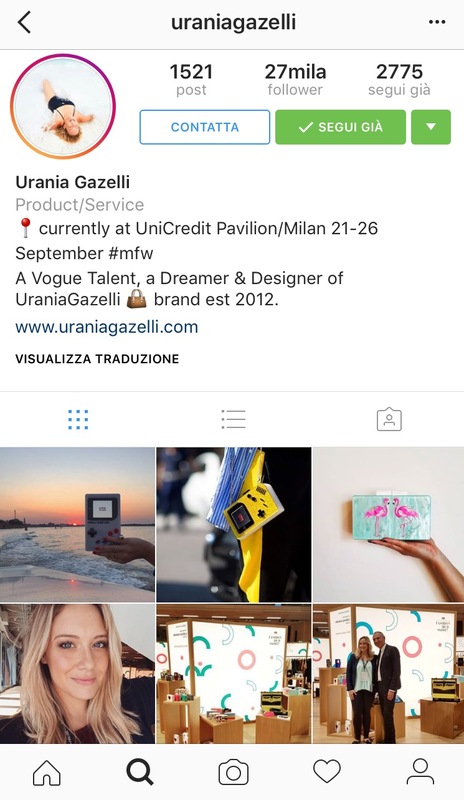 The Fashion Hub Market takes place at Unicredit Pavillon in Piazza Gae Aulenti, the square emblem of the new Milan and the fast growing luxury shopping zone. This place reflects the evolution of the city itself and, as well as offering operators a still unfamiliar skyline, retains a number of logistics advantages linked to the fashio n show venues and many of the hotels used by journalists and buyers. This is the perfect place to show emerging designers’ new collection, cause they can give a further modernity touch to the exhibition and the venue. Visiting the Fashion Hub, you really perceive how CNMI is working to promote new talents and sensitize fashionistas about topic such as sustainability, via several initiatives onsite and online. Once again, the way the most important Fashion Institution in Italy interacts with its audience, highlights the importance of how the online and the offline environment should go hand in hand. 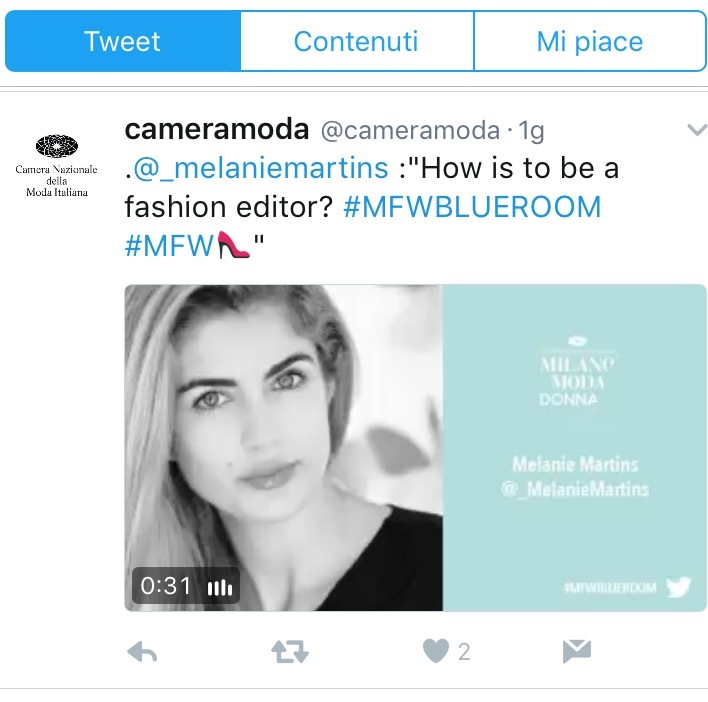 For examples, they changed the concept of interview, introducing the #mfwblueroom on Twitter. 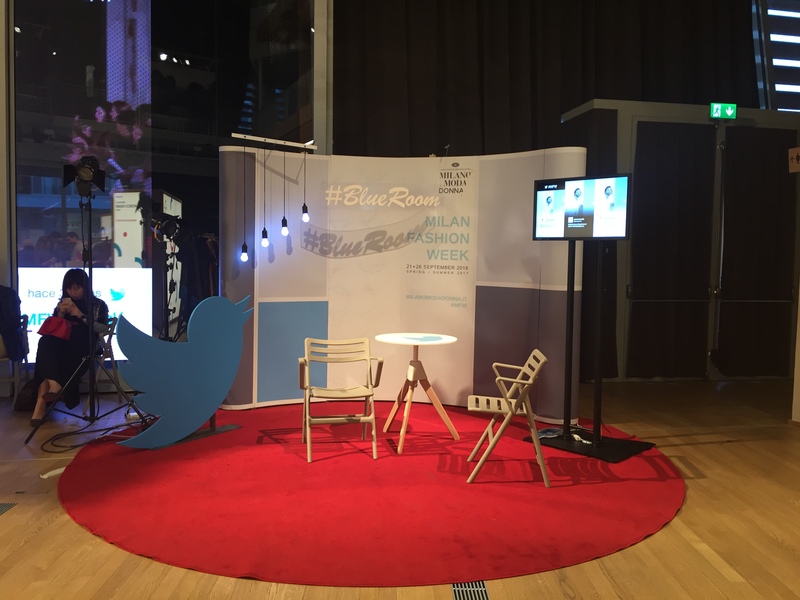 The interviews, that take place at the Fashion Hub Blue Room, are streamed on social media in real time and users can ask question directly to the interviewed on Twitter with the specific hashtag #mfwblueroom. Moreover, all the fashion shows were reported in real time on the CNMI Instagram and Snapchat official accounts. 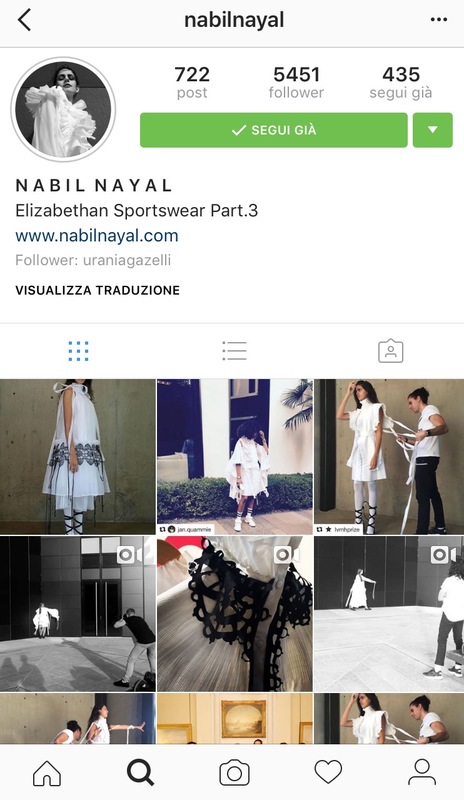 We also interviewed Nabil Nayal and Urania Gazelli, two of the fourteen emerging designers showing their collection at the Fashion Hub Market, about their digital communication strategies. They stressed the importance of social media to reach their customer base and to create buzz for their collections; above all, they specified that Instagram and Snapchat are the most used channels, due to their rapidity and visual impact on the audience. Social media also responds to their needs of low budget campaigns and the mix of a good strategy with an effective channels brings very good results in terms of spread. We also asked them how do they consider the relation between the digital and the retail strategies, and they remarked once again that they’re complementary nowadays, that the experience in-store can’t be replaced by the online experience, in terms of perception of the quality and preciousness of luxury items. Also, they still need the “physical” help of Institution, such as the CNMI, which helps them show their talent and reach a wider audience via online and offline channels.